This small collection was based off of the Haute Couture House of Madame Gres. She was best know for her floor-length draped Grecian goddess gowns. 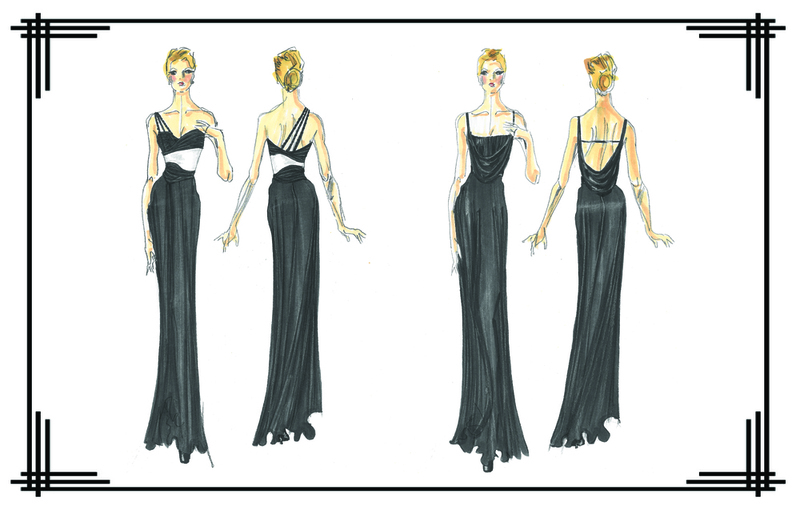 This simplistic and minimalistic draping techniques are her attention and respect for the female has had a lastly impression on designer today. 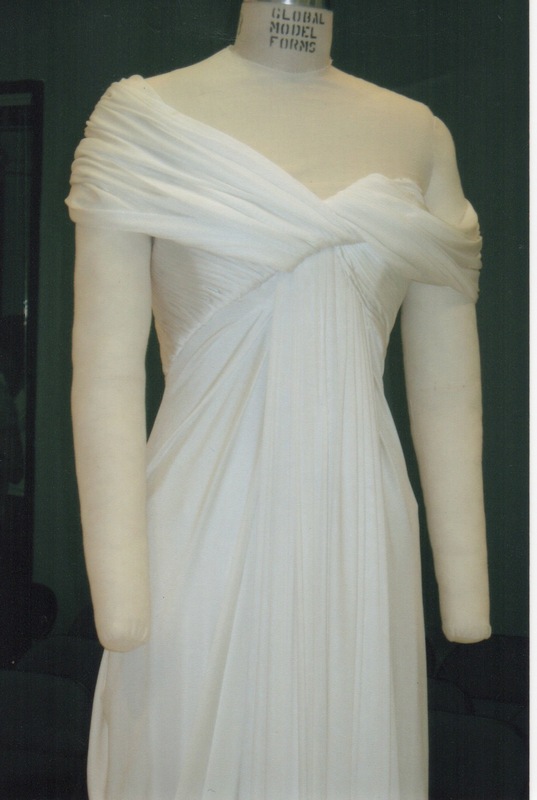 Hand draped and pleated Grecian dress influenced by Madame Gres. Detail view of hand sewn pleats.